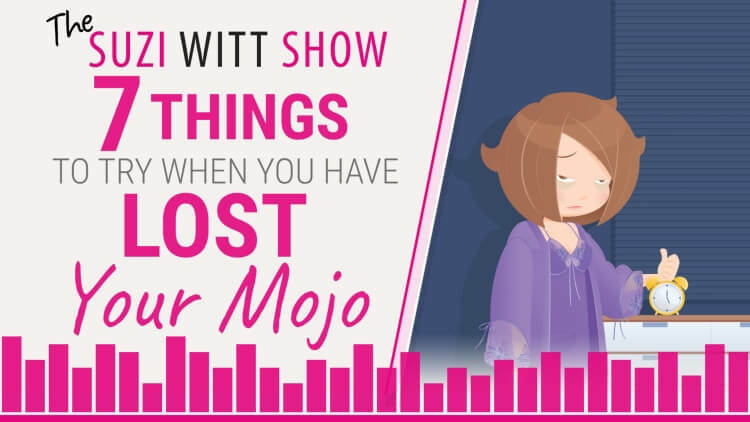 In episode 14 of the Suzi Witt Show, I am talking about 7 things you can try when you lose your business mojo. For any small business owner, losing your mojo can send you into panic because you are so busy, you don't really have time to lose that mojo. So, when it ups and goes AWOL, how should you react and what should you do? In this week's episode, I share some of my experiences of the way I handle this. Listen in to find out 7 things you can do to make it much easier to manage. Find out why your mojo taking a little trip on holiday is not the end of the world. Listen in to find out why I think that the internet is the last place you want to be when your mojo goes AWOL. Learn what tech resources can help you feel better. Find out why I think Twister and a Duster are key in understanding a lost mojo. Learn the 7 day rule and why it matters. TSWS: 009 How to handle criticism. TSWS: 005 12 solutions to manage overwhelm when running your businesss.